Originally founded as a leftfield club night in 1995 by Radio 1 DJ and Bestival co-creator Rob da Bank, Sunday Best the label emerged in 1997. New partners Sarah Bolshi & Ben Turner joined in 2000 - Sarah running the label day to day, whilst all three influenced the label's shape and direction. Renowned for it’s expansive and eclectic roster, as well as an unswerving dedication to the leftfield, roster includes early releases from Grand National, Max Sedgely & Dan le sac vs Scroobius Pip, as well as more recent outputs from the likes of David Lynch, Valerie June & Kitty, Daisy & Lewis. 2016 sees a new wave, with debuts incoming from L.A.Salami, Alice Jemima and Xylaroo - alongside new music from familiar faces. Navigate through the time periods and get a feel for Sunday Best's evolution! Rob da Bank founded Sunday Best in 1995, beginning as a weekly leftfield club night at South London’s Tearooms des Artistes. Some of dance music’s biggest future players passed through its decks; Fatboy Slim, Groove Armada, Basement Jaxx, Harvey, Andy Weatherall - all playing alongside mind blowing hallucinogenic visuals, delicious food, craft beer, and incredible cocktails. Celebrating an ‘anything goes’ music policy, the club night formed an essential blueprint for Sunday Best the label. 1997 sees the birth of Sunday Best Recordings – a way of further celebrating the wider community of artists growing out of the club night. The label was essentially a hobby for the first two years – putting out 7s and 12s for the pure love of it. 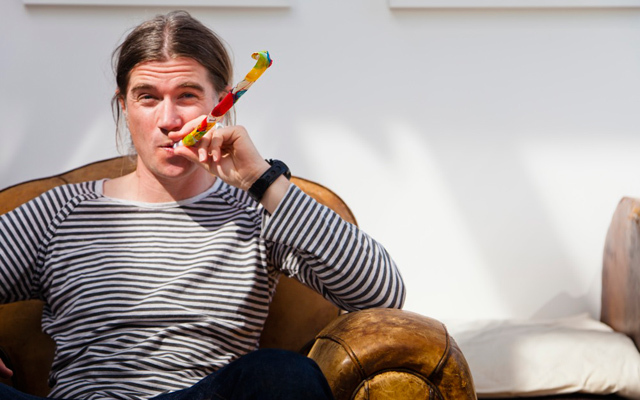 A new trajectory was set when new partners Sarah Bolshi and Ben Turner joined in 2000 - Sarah taking the helm as day-to-day label boss, whilst all three begin the process of shaping the unique and eclectic roster existing today. The label’s early years were spent garnering a reputation for forward-thinking compilations, and the first to showcase tracks from the likes of Bent, Lemon Jelly & Groove Armada – all now regarded as pioneers of their respective sounds. 2004 saw the culmination of the label’s dedicated work bringing chill-out and leftfield Electronic to the mainstream - with Max Sedgley’s single ‘Happy’ climbing the charts and heralded as an instant classic. 2004 also saw the birth of Bestival - a natural extension of the da Bank empire. 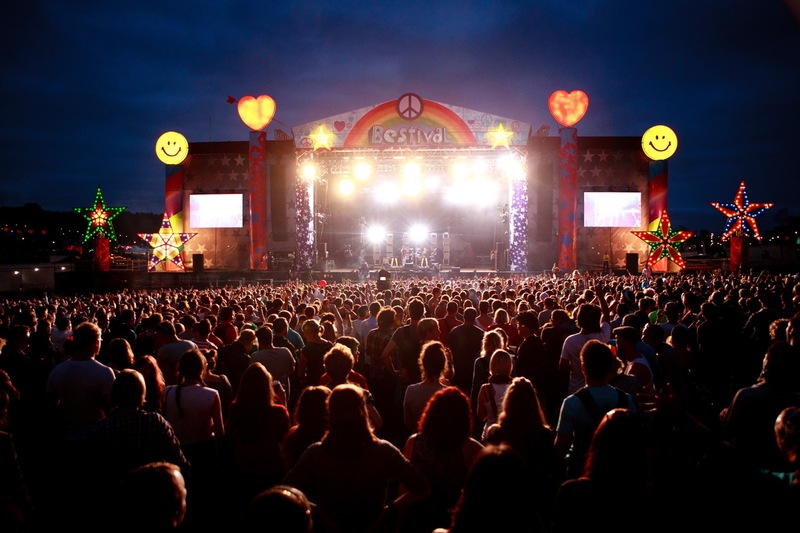 Now an internationally renowned music & arts festival - welcoming over 50,000 party-goers to it’s Isle Of Wight home - Bestival’s success paved the way for a whole family of festivals; including Camp Bestival, Common People & Bestival Toronto – each closely tied with Sunday Best the label, sharing and encouraging ideas. Continuing it’s eclectic expansion, Sunday Best signed Kitty, Daisy & Lewis in 2006 – three Camden-born kids with extraordinary talents. Then aged 11, 13 and 15 - with a mother from iconic post-punk band The Raincoats and a dad who owned London's famous Exchange Studios - the trio's path seemed inevitable. Merging 60s/70s R&B and Garage with more modern swayings, the band have released three full-length albums to date – latest 'The Third’ garnering critical acclaim and taking them across the world. Dan le Sac vs Scroobius Pip joined the label in 2008, bringing together politically driven spoken word and eclectic electronic production. Together they carved an all-new niche – releasing three critically acclaimed albums, and carrying a leftfield sound and ethos into the mainstream spotlight. In 2011, David Lynch, one of the world’s most coveted avant-garde directors, joined the Sunday Best roster. With music as fascinating and visceral as the films - twisting the tropes of Rock’n’Roll and dabbling in off-kilter electronica - Lynch has released two full-length albums, reissued the atmospheric Polish Night Music (a collaboration with Polish concert Pianist Marek Zebrowski), worked with guest vocalists like Karen O and Lykke li, and been remixed by Moby, Venetian Snares, Jon Hopkins & more. Moving forward, Valarie June’s debut 'Pushin’ Against a Stone' arrived in 2013. Co-produced / co-written by The Black Keys’ Dan Auberbach, the album was praised by the likes of Spin, The Independent and Rolling Stone, and gained instant fans right across the world. Valerie’s arrival signified the almost boundless nature of the label’s roster – constantly finding common threads across an abundance of genres. 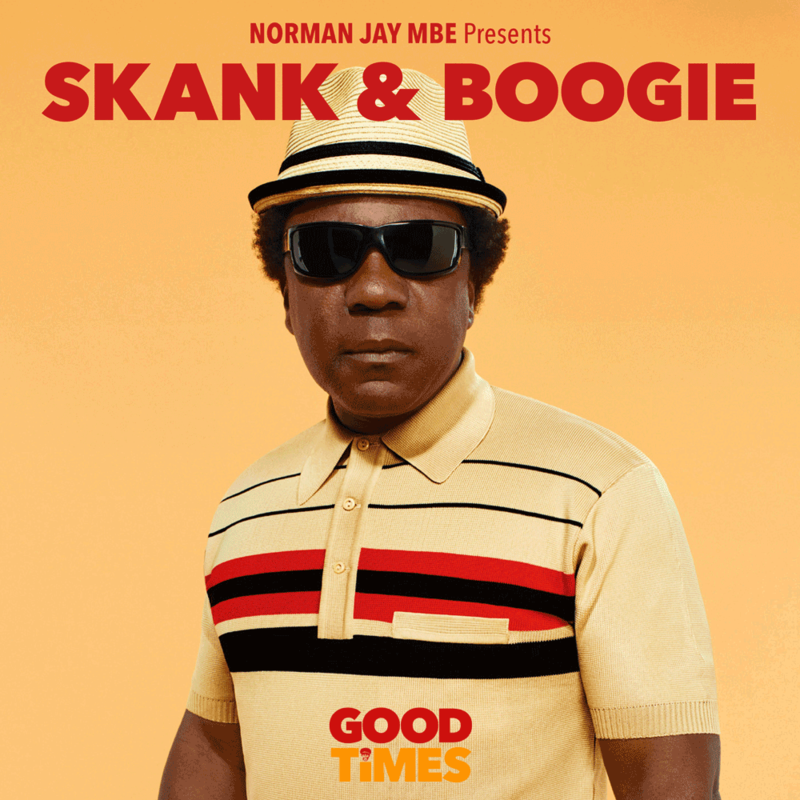 2014 and 2015 saw releases from New Build (who share members with LCD Soundsystem/Hot Chip), latest albums from Kitty, Daisy & Lewis & David Lynch, debuts from Ben Ottewell and Tythe, and - returning to Sunday Best's early compilation days - a beautifully curated long player from the legendary Norman Jay MBE, aptly titled Good Times Skank & Boogie. In to the present, 2016 sees a new wave emerging. 'Advancement' - the third album from electronic duo Solar Bear's was released earlier this year - gaining support from the likes of Boiler Room, Andrew Weatherall, Complex & Resident Advisor. Further forward, a whole host of debut alums are incoming, from the wordly sounds of sisters Xylaroo, to the L.A.Salami's poetic and poignant Post-modern blues, to the sultry, intelligent pop of Alice Jemima, and finally Laucan's electro-minimalist, deconstructed folk. Now partnered with PIAS Cooperative, Sunday Best has been able to join a family of incredible labels yet still remain independently driven. Still unswerving from the original ‘anything goes’ policy, Sunday Best, along with the wider Rob da Bank family, is ever-expanding; thoroughly unique and driven by love.